Many Asian dishes are very cultural as most of the ingredients are typical that they are only found in those areas. That makes it difficult to cook Asian cuisines sometimes. 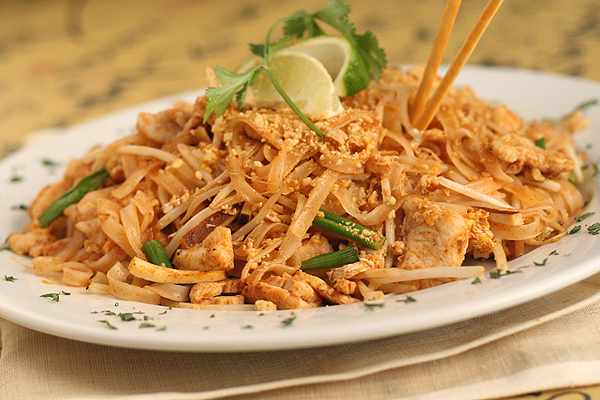 The good news is that you do have some great choices of the best and most delicious recipes that originated in Asia. Yes, not all recipes from Asia can limit you from making them for various occasions, whether it is a picnic in the backyard or a formal dinner with some important guests. Here are 5 all-vegetable recipes that you can try preparing and serving. One easy recipe to prepare is salad. 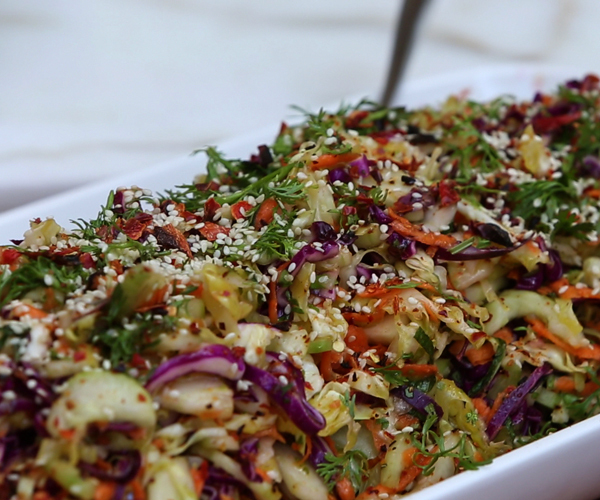 Asians do love vegetable salad dish, too, and this is a good replacement of the usual American-classic green salad. Note: This recipe serves 7, so double or triple the ingredients for a larger group of guests. 1. 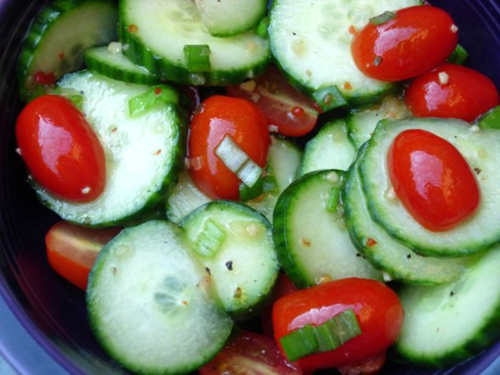 In a large bowl, toss tomatoes, cucumbers, capsicum, onion, garlic, basil, and parsley. 2. Add white wine vinegar. Combine well. 4. Chill for 15 to 20 minutes before serving. 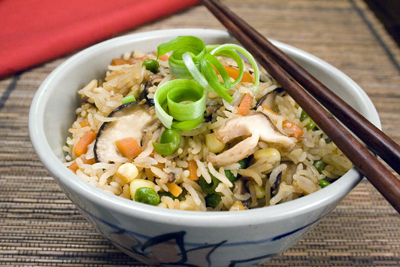 Inspired by mixed Asian cuisines (Japanese, Chinese, Indian, and Thai), this recipe features fresh vegetables combined in rice with tofu and beans in a spicy flavor. 1. Heat a saucepan with water. Pour salt. Bring to a boil. 2. Add rice. Let it boil for additional 20 minutes. 3. Drain rice. Rinse with cold water and drain one more time. 4. In a separate pan or skillet, heat it with a teaspoon of oil under medium setting. 5. Fry eggs. Season with salt and pepper. Chop into pieces and set aside. 6. Add a tablespoon of oil in the skillet in medium-high heat. 7. Add garlic, ginger, mushrooms, and red pepper flakes. Sprinkle with salt. Stir and cook for 3 minutes. 8. Add rice and eggs. Combine. 9. Add scallions, edamame, soy sauce, and lime juice. Mix well. Let it cook for another 3 minutes. 10. Transfer to a bowl and serve. For rolled foods, this blend of various spring vegetables is a great choice. Make it more Asian with its carrot-ginger sauce. 1. Soak ripe-paper wrappers in a bowl with hot water. Remove out of the water after 30 seconds and place on a large platter. 2. Place sprouts, carrots, cucumbers, beets, bell peppers, and daikon on the wrapper. 3. Fold ends in and roll. 4. Do the same process until all ingredients are rolled in the wrappers. 5. Finish the dipping sauce by pureeing carrots, shallot, ginger, vinegar, soy sauce, sesame oil, salt, and pepper in a blender or food processor. 6. Add vegetable oil and water while continue blending the dip sauce ingredients. 7. 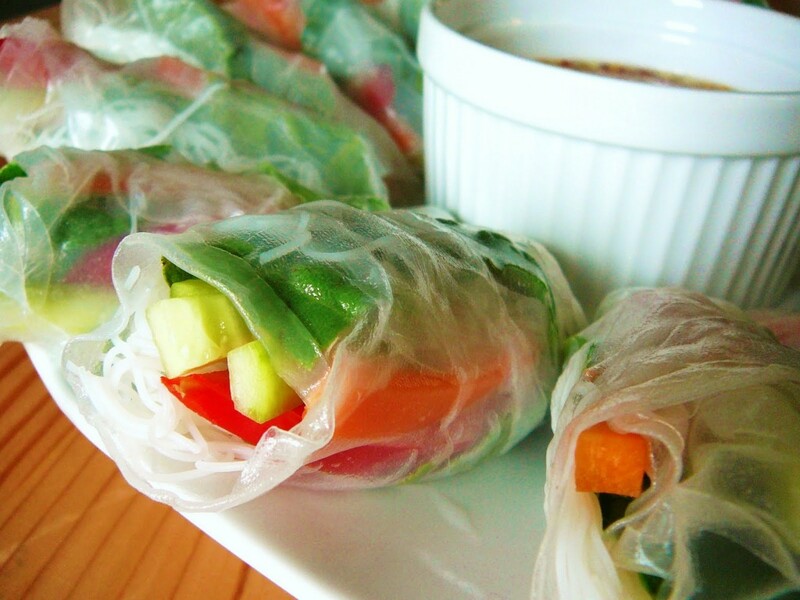 Place rolls on a plate with the sauce on a dipping saucer. For a healthier coleslaw, which means no mayonnaise and with little fat, this Asian version is a good food to add on your diet. 1. Combine peanut butter, garlic, salt, rice vinegar, soya sauce, and chili sauce together in a bowl. 2. Add cabbage, chives, red capsicum, and coriander into the bowl. Stir and toss well to combine with the sauce. This is a type of rice noodles with vegetables, which makes it more nutritious. 1. Soak the noodles in a pot with water. Bring to a boil. Drain and rinse with tap water. Place on a bowl or plate. 2. In a separate small bowl, mix brown sugar, lime juice, and soy sauce together. 3. Heat a skillet over medium-high setting. 4. Pour white scallions and garlic. Stir. 5. Add eggs and fry. Remove from the pan and place onto a plate. 6. Toss noodles in the skillet. Pour sauce and mix. Let it cook for a minute. 7. Put egg mixture back into the skillet. Mix well. 8. Transfer the mixture into a bowl or plate. Sprinkle with green scallions, cilantro, and peanuts. Serve. With these recipes, you can make uncommon but delicious and healthy dishes that your guests would love to taste.